With more than 2,000 full-time and volunteer faculty members, the School of Medicine is leading the way in educating future physicians and biomedical scientists to be health care leaders and advocates. Through education, innovation and mentorship, our faculty prepares students for the rigors of the medical field while instilling a strong sense of social responsibility. 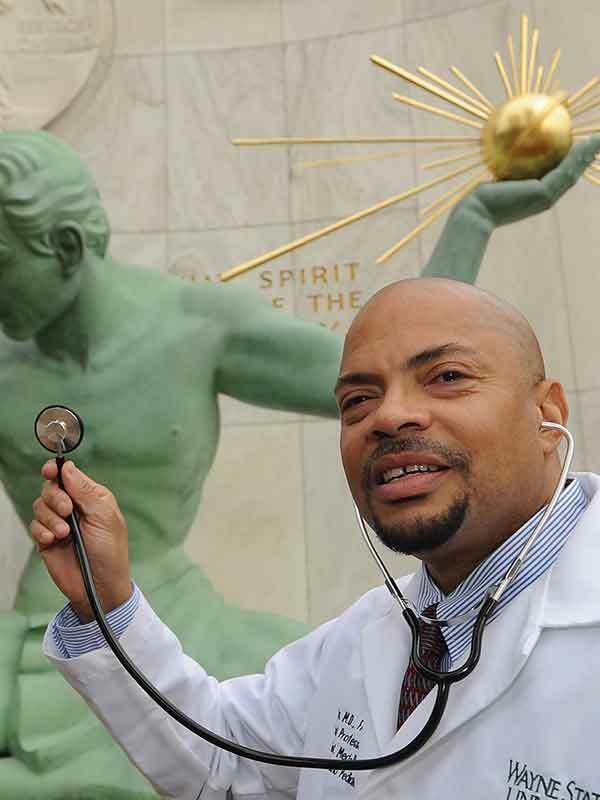 Their collaboration with health care systems and community partners reduce health disparities and improve the lives of people within the city of Detroit and communities worldwide. Eric Ayers, M.D., F.A.C.P., F.A.A.P. The 1989 graduate of the School of Medicine has been a faculty member for more than 24 years.